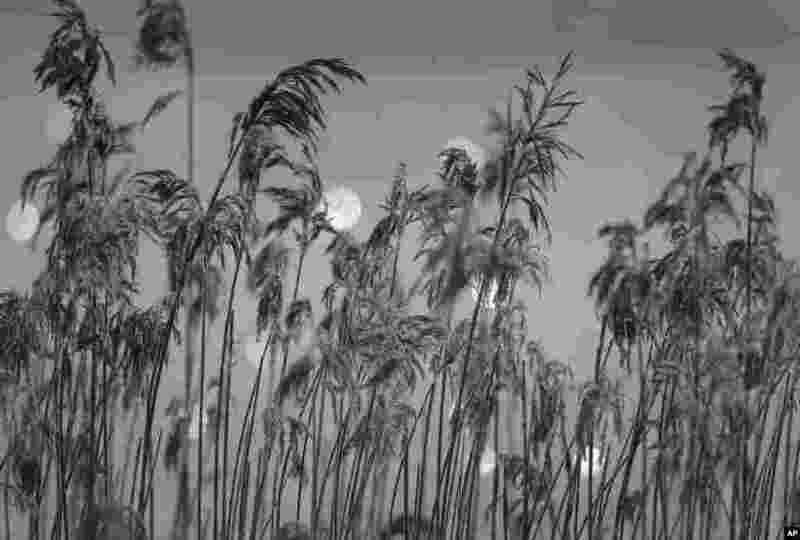 1 Dried plants covered with hoarfrost seen on frozen lake near the village of Druzhnyi, 35 km (22 miles) southeast of Minsk, Belarus. 2 Sri Lanka's Special Task Force (STF) members perform in Kalutara. 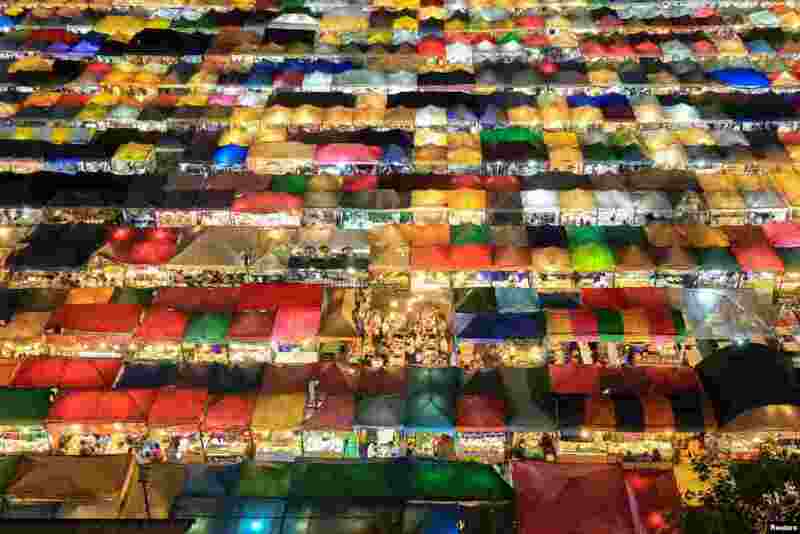 3 Ratchada Railway Night Market is seen during dusk in Bangkok, Thailand. 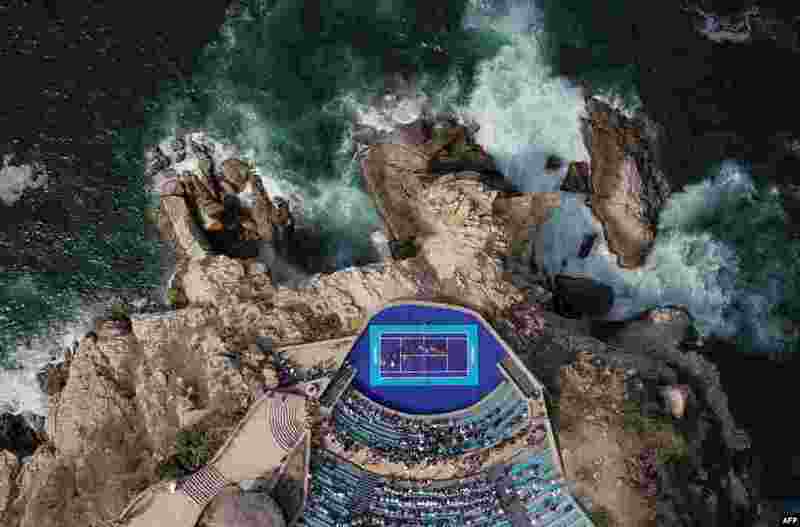 4 Aerial view of a Mariachi band performing during an exhibition tennis match between Austrian player Dominic Thiem (R) and German player Alexander Zverev at "Sinfonia del Mar" forum, before the start of the Mexico ATP 500 Tennis Open in Acapulco, Guerrero state, Mexico, Feb. 26, 2018.